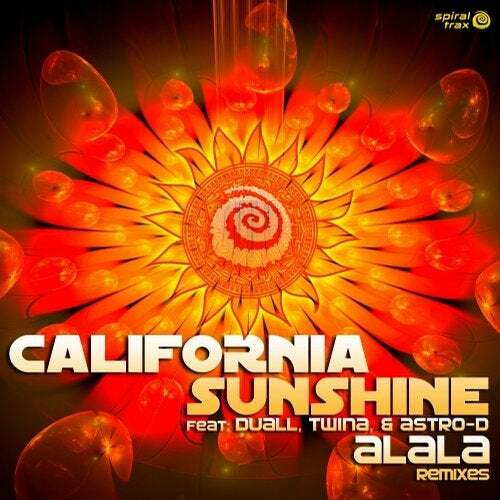 Spiral Trax proudly presents this seminal anthology of the hit track Alala originally performed and released by Pioneering flagship Goa Trance project California Sunshine. This track was first released in 1997 and now 20 years later is still remixed and played around the world. Joining the original band for this anthology is the legendary producer Twina, who also performed the live guitar on the 2010 remix. In 2016 Greek Psy prodigy Astro-D created his version of Alala as a cover track. Now in 2017 Duall from Belarus does a fresh new cover of the "Lesson II" version. All total we have 7 amazing versions including the chill mix for a well rounded adventure through classic Goa Trance and modern Psychedelic Music. Big thanks to Har-El and Miko, the original producers and founders of California Sunshine for their support and love. We very much hope that by presenting these classic hits, most of them freshly re-mastered will give the modern dance floor a whole new dose of the great psychedelic uplifting dance floor vibes firmly inspired by 20 years of blasting tunes!